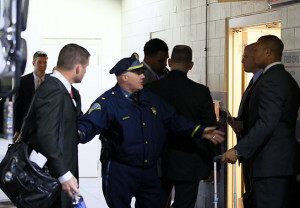 Massachusetts State Police served Miami center Mike Pouncey with a grand jury subpoena less than an hour after the Dolphins fell to the Patriots in Boston, according to SI.com’s Pete Thamel and Greg Bedard. Reportedly, authorities are focusing on Hernandez’s potential involvement in interstate gun trafficking in at least three states: Massachusetts, New York and Florida. “A grand jury subpoena does not mean Pouncey, 24, has been or will be charged with a crime. Rather, law enforcement officials regard him as a material witness who could advance their case against Hernandez. Dolphins officials indicated Pouncey would be traveling back home with the team Sunday night. Pouncey appeared confused when handed the paperwork by police and said, “What’s this about?” Soon Dolphins officials were scrambling around the concourse looking for answers. Dolphins director of security Stu Weinstein told SI.com “You need to talk to [general manager] Jeff Ireland or [coach] Joe Philbin,” and a uniformed Massachusetts State Policeman declined to comment. 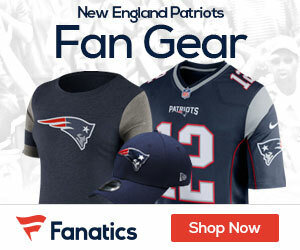 A Patriots official said team owner Robert Kraft was not made aware of that Pouncey would be served with a subpoena. 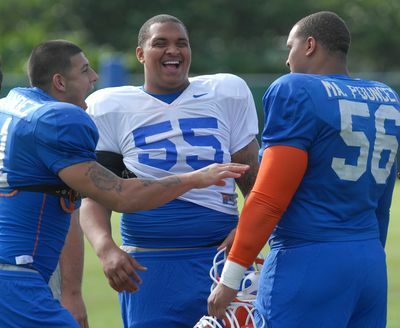 Pouncey and his twin brother Maurkice, a center with the Steelers, were close to Hernandez and all three lived together at times during college.